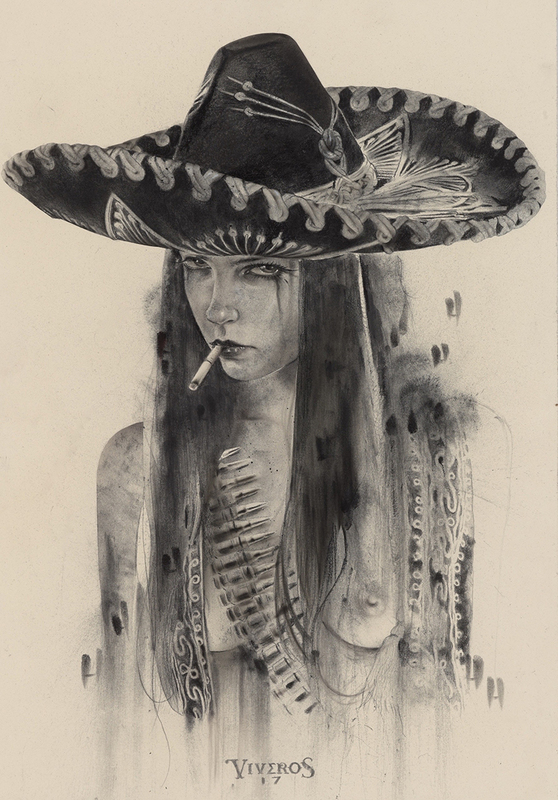 We’re excited to announce Viveros will have three new works at this years SCOPE Miami this December for Art Basel week. 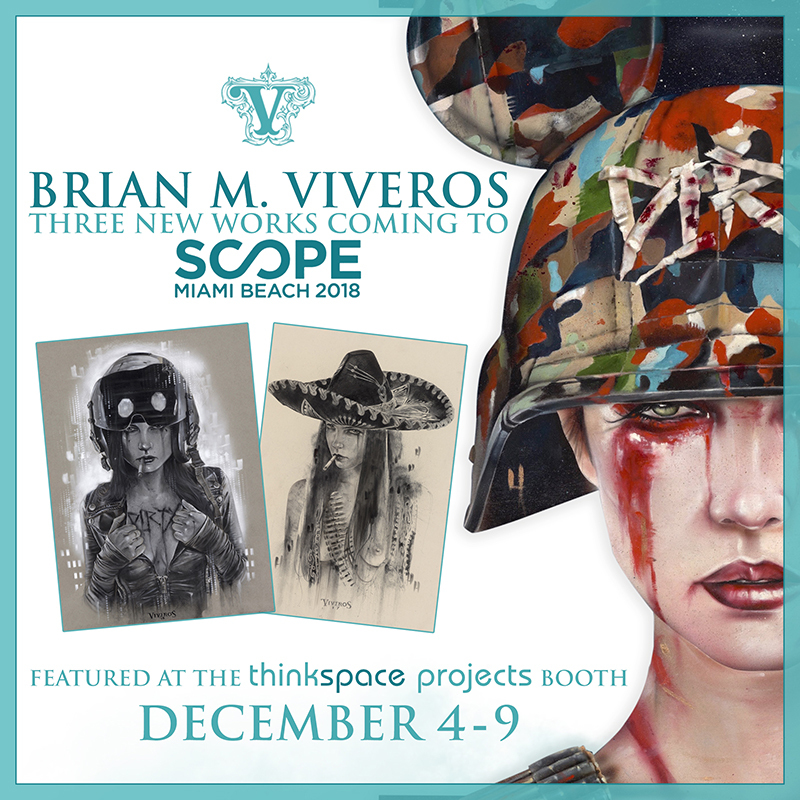 Look for his three new pieces showcased at the SCOPE Art Show Thinkspace Projects Booth F05 from December 4 – 9th. 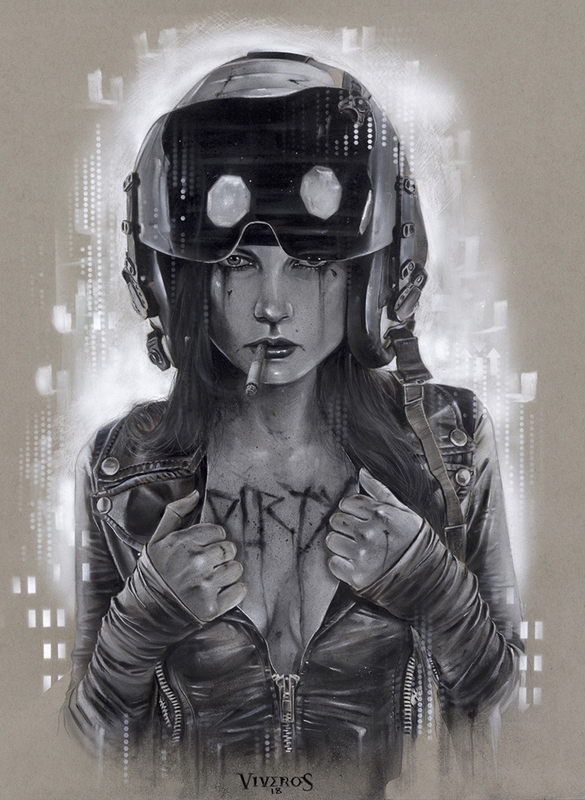 These will be Viveros last pieces of the year, so if you’re looking to secure an original in 2018, don’t miss this opportunity! This year promises to be one of the best yet, with Hi-Fructose on board curating special installations throughout the fair and a bigger focus on the New Contemporary Movement as a whole. As always, Thinkspace will have it’s massive wall of 12×12 inch (30x30cm) works returns for the seventh consecutive year. This year will feature the gallery’s largest collection of works yet, with over 80 internationally renowned artists represented from the Thinkspace Family. 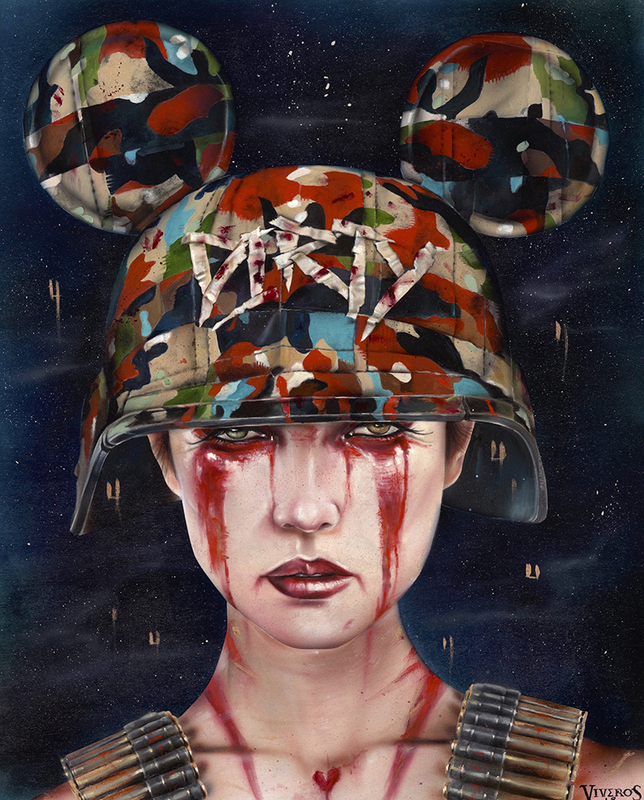 Presented alongside mini-solo exhibitions from both Matthew Grabelsky and Alex Yanes and accented by three new works from Brian M. Viveros, Dulk, Kathy Ager and Sergio Garcia.